At this moment Boston Soul Candi lecturer Blanka Mazimela is experiencing the full thrill of creative effort because he’s just released a new single, titled ‘Together’ ft. Forever’s Man. Having lectured music at the Boston Soul Candi Music Institute for the past five years, Mazimela decided that while giving an inspiring talk might educate students, truly stirring them can only happen when you allow your creativity to run full circle. “It was all the class work I’d done at Soul Candi that spurred me into action. As fulfilling as lecturing students might be, I just had to once again step it up and take things to the next level. So yes, in a way my new single is for my students – hopefully my example will move them to achieve greater things in the exciting music industry,” says Mazimela. In producing the single, Mazimela also collaborated with one of his students, Curtiz Shanduka (Forever’s Man) who wrote the lyrics and helped him get the final product just right. “This is what’s so great about the Soul Candi Music Institute. There’s a lot of one-on-one time the students get to spend with their lecturers, but that’s the only way to teach music – there has to be creative interaction and sharing, what follows is inspiration,” says Mazimela. It’s this kind of inspiration together with Mazimela’s knowledge of music production that’s so clearly demonstrated through his latest song. ‘Together’ boasts an experimental sound, laced with traditional chords and meaningful lyrics. It also ticks all the right boxes: quality production, a unique melody and a captivating love story encouraging one to fall in love again. Its intense sound speaks to the soul, transporting your mind to a place of euphoria and complete musical hypnosis. Currently ‘Together’ is out on Itunes.com and beatport.com for music lovers to indulge in. 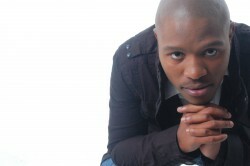 Aspiring music students wanting to follow in Mazimela’s footsteps should contact Soul Candi. In teaming up with Boston City Campus & Business College the Institute’s objective is to bring students a revolutionary new approach to digital music composition and production. This course, one of a kind in Africa, seamlessly integrates modern music composition with all the latest music production techniques being used by the world’s best hit-making producers. For more information about the Boston Soul Candi music courses on offer, visit www.boston.co.za/soul-candi/ or call us on 551 2000 and don’t forget to Like our Facebook page and follow us on Twitter.